The other day I downloaded a copy of The Clare Crespo Cookbook. 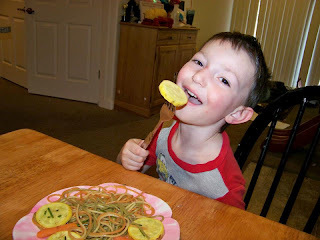 There were so many amazing and fun veggie recipes that I felt like I was browsing Pinterest! 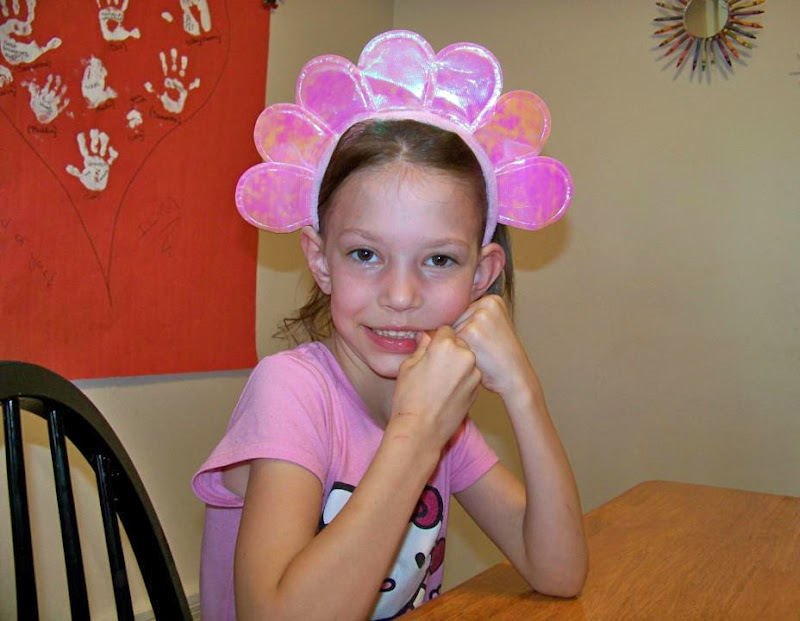 I chose MY favorite step-by-step recipe to make for my family and it was a hit! Slice fat part of squash into 24 slices (save the necks for another recipe). 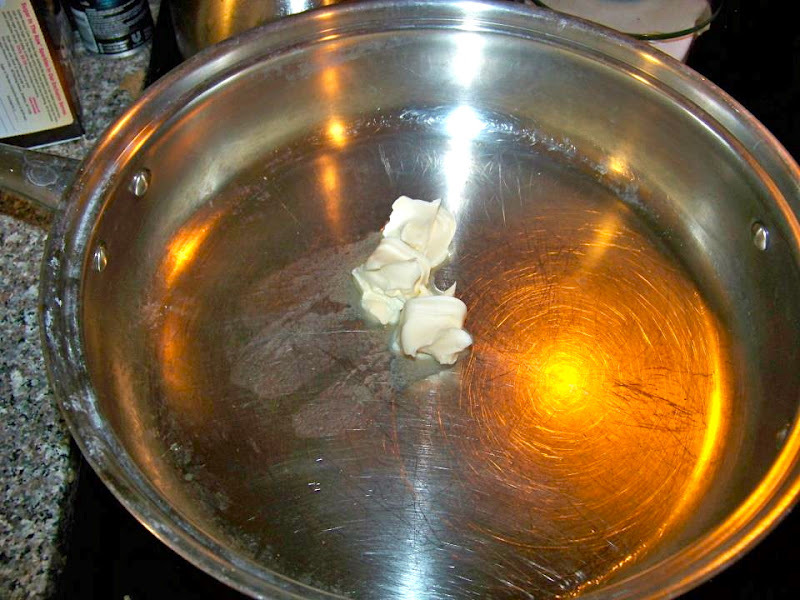 Melt Country Crock Spread in large skillet. Add garlic and cook until golden, about 5 minutes. 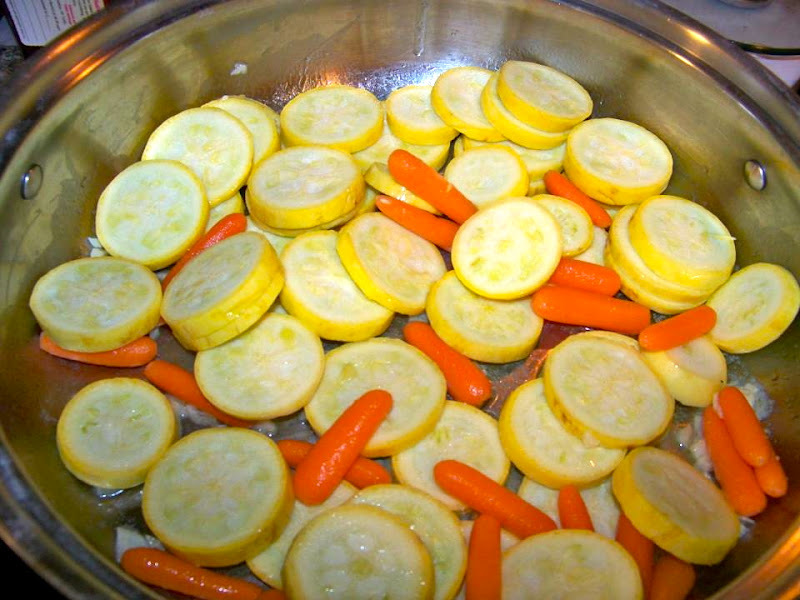 Add squash and carrots, saute until tender, about 7 minutes. Once I added the garlic my kitchen smelled like a restaurant! Arrange carrots on service dish or individual plates. Place two squash rounds on either side of carrots. 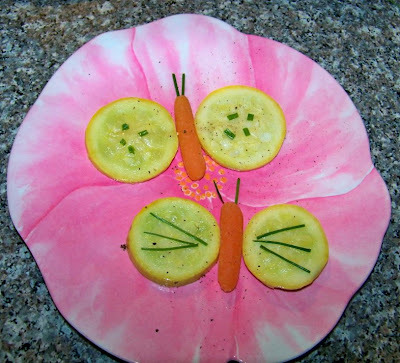 Using a toothpick, poke two holes in the tops of each carrot and insert chive pieces as “antennae”. 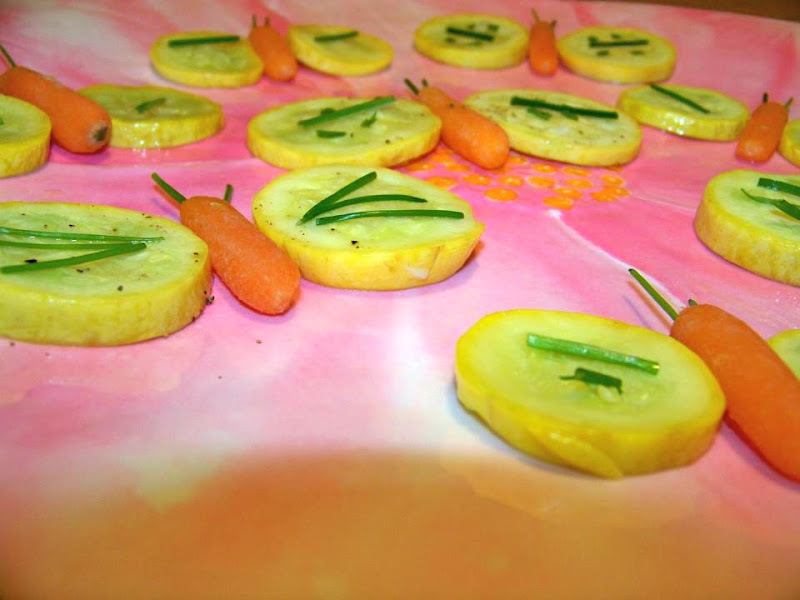 Sprinkle remaining herbs on squash “wings”. Add salt and pepper. *If you want these to hold together, add toothpicks—but don’t forget to remove them before eating! 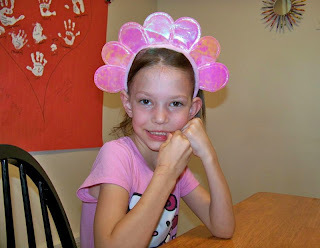 on wearing her flower headband. but this is the first time I have gotten him to actually eat squash! My kids and my hard-to-please hubby really enjoyed this. 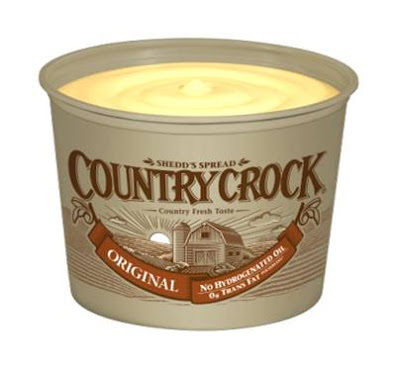 We've been putting Country Crock on our veggies for years. It makes vegetables taste good so I don't have to hide them from my little ones. Because our little Philly has a dairy and soy allergy I made a separate serving for him without Country Crock. 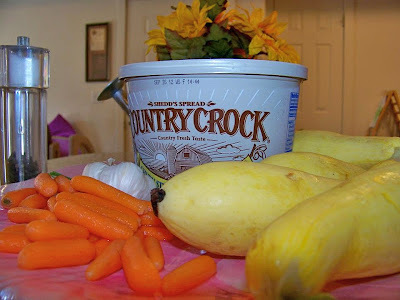 I can honestly say that adding Country Crock to our veggies made a big difference in the taste, and with 70% less saturated fat and 30% fewer calories than butter I don't have to feel guilty about serving it to my family. 8 out of 10 kids think veggies with Country Crock are delicious. I don't have 10 kids, but the two who can eat it definitely agree! If you are looking for even more veggie inspiration you should head over to The Crock Country Chronicle. 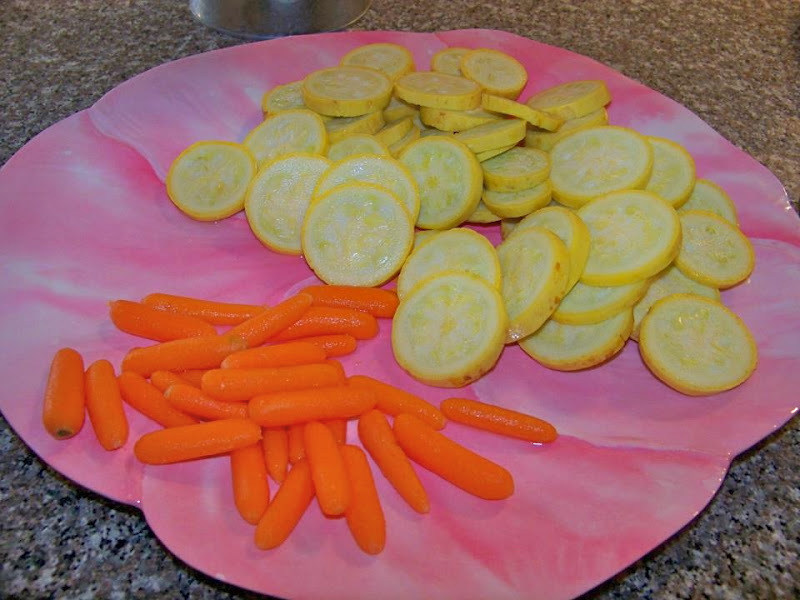 It has tips and recipes for serving veggies to your family, and there is even a How Does Your Garden Grow feature that has advice on planting your own vegetable garden. This will be my first year planting veggies so this will be a big help! These look delicious! I am a new follower and can't wait to link up on Tuesday! Hehe, I wanted to make those too! I'm saving those for next week! Great job! Ahh, these are cute! I've never has crookneck squash before, does it taste like zucchini?? They are around the same size as zucchini and are usually right by them in the produce section. They might just be called yellow squash on the sign.